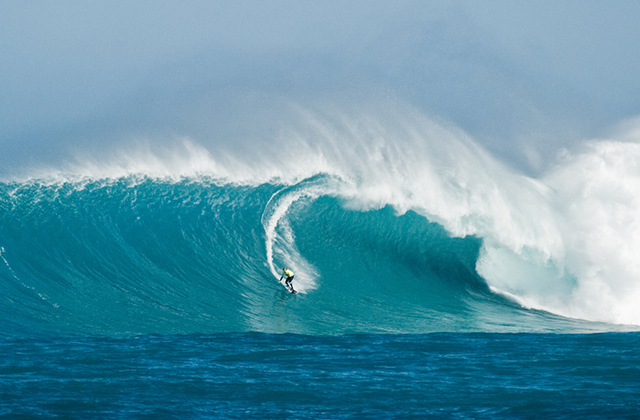 Surfing does, has, and continues to, have a grip on the world. Those who start it rarely quit. Where did this unusual sport originate? What challenges did it face to become the sport it is? Read on for a little of the history behind surfing. The best way to find comfort in watching surfing is installing a surfing app. Although Lieutenant King, ‘discovered’ surfing for the western world around 330 years ago, scientists have other evidence from western Polynesia such as cave drawings and tribal stories, that suggest surfing, in one form or another, has been ongoing for around 3000 years! Hawaiians loved to surf. Their chiefs, showed their prowess by showing off their surfing skills. Surfboards were prized items. Practically everybody on the island, knew how to surf. While he recorded the feats of the people on Hawaii, Lieutenant King didn’t fully understand the significance of surfing to the natives. It was an integral part of their caste based system of ruling. Tribe leaders had their own private beaches to use to enjoy the waves. Lower level people were generally forbidden to use these beaches. An exception might be granted if they were seen to exhibit particular skill in the sport. If, a commoner was, allowed to use the leaders beach it was considered a great honour. Legendary stories recorded in songs and chants, abound from both commoner and king, of lives risked and of heroic actions all while in the surf. However in the wake of Captain Cooks voyage, things were to change. After Cooks voyage, the Hawaiian islands became the place of choice for all seafarers, captains, adventurers and the like to visit. This influx of people and cultures changed Hawaiian life quickly. For example within 50 years of Cooks visit, Liholiho, the son and successor of Kamehameha I (Chief of the island at the time), swayed by the culture of the Europeans, sat down with his mother and other high chiefesses to eat dinner as equals. Since anybody could remember, men eating with woman was strictly ‘not done’. This single act signalled the end for the system of laws, Kapu, that the islanders had followed since the beginning of time. With Kapu done, all the cultural and ritual ties that were associated with that and surfing went. Commoners and heiresses could mix without the commoners worrying that they might come to an un-timely death. Beaches were no longer segregated to different social classes. All traditional life had went the way of the dodo and the islanders lives, with no set structure, went into chaos. Enter the Christian missionaries. In 1820 the missionaries arrived and began converting the islanders from Polytheism to Christianity. Within ten years the islanders were all about the strict moral codes associated with the way of the cloth, rather than their normal, laid back, island life. Once converted the missionaries had the islanders focusing more on reading, writing, working and wearing clothes than playing or surfing. In fact surfing was actively discouraged as it was seen to be against Gods rules. The future did not look good. The only thing going out faster than surfing was the Hawaiians themselves. The ‘foreigners’ had brought disease with them that the islanders had no immunity from. From a spritely population of around 800,000 when Cook arrived in 1779 it dwindled to around 40,000 by 1896, a loss of 95% in only 117 years. Despite all the missionaries efforts to the contrary, surfing was never totally dismissed from the island. At the turn of the 20th century, a few die hards remained surfing at Kalehuawehe on the south shore of Oahu. There are photos of solitary surfers on the beach from this time where once in the past there had been hundreds. The revival of surfing from the brink of extinction was brought about strangely enough from the same race of people that sought to rid the island of it in the first place. Jack London who was a popular writer of the time visited the island and was introduced to Alexander Ford. Ford, in turn, introduced him to celebrated beach boy George Freeth and from them, London was introduced to surfing. So impressed was London, that he wrote a book, A Royal Sport: Surfing in Waikiki. Needless to say this book did well. So well in fact that one of it’s stars George Freeth was invited to show Californians, how to surf. That too was another success for surfing. Over the next few years these champions of the sport would breathe the necessary life, back into it. London wrote about it and Freeth showcased it to the world. Ford went about campaigning for the sport, founding the ‘Outrigger canoe club’ on Waikiki beach, which focused much on promoting the sport overseas. The fourth saviour was the final thing needed to bring it permanently to the world stage. Duke, was a native Hawaiian and a lover of surfing and all things water. Blessed with huge hands and feet, Duke took part in the 1912 and 1916 Olympics, winning Gold in the 100 meter freestyle each time. He was generally considered the fastest man in water. In 1915 he was invited to Australia to perform in New South Wales. Pretty soon after this visit, the whole country fell in love with the sport, putting Oz on track to be a surfing Mecca. The world knew about surfing largely from the efforts of London, Freeth and Ford. Now that such a popular figure was doing it, everybody wanted to try it. Surfing was enjoyed by a few for thousands of years. Under influential pressure from Europe and the missionaries, it was nearly lost for good, but never quite vanished. Thanks largely to the efforts of four men, it would return to the world and reach unimaginable heights. Oliver Ellice is based in Queensland, Australia. He has started an online business and is still currently finding his way. He’s sharing what he learns with everyone in an effort to reduce other peoples misery.